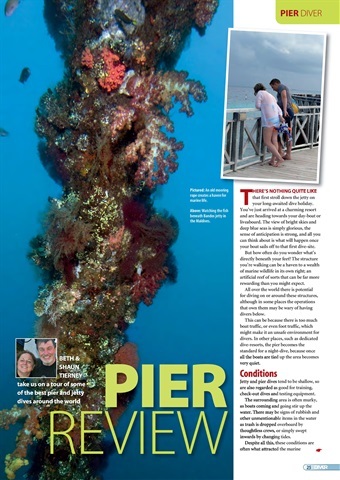 PIERS – There’s nothing like diving around the piles of a jetty. 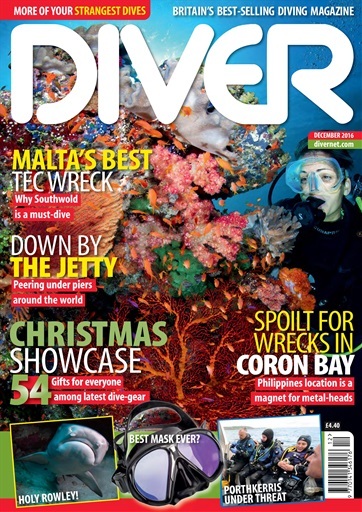 DIVER AWARDS - Make somebody happy by voting for them in this year’s Awards. 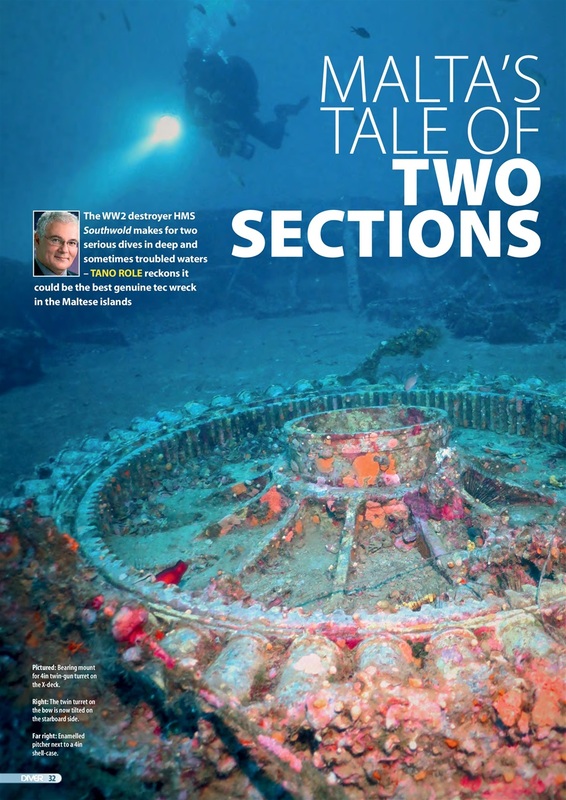 HMS SOUTHWOLD – WW2 destroyer – two serious dives. 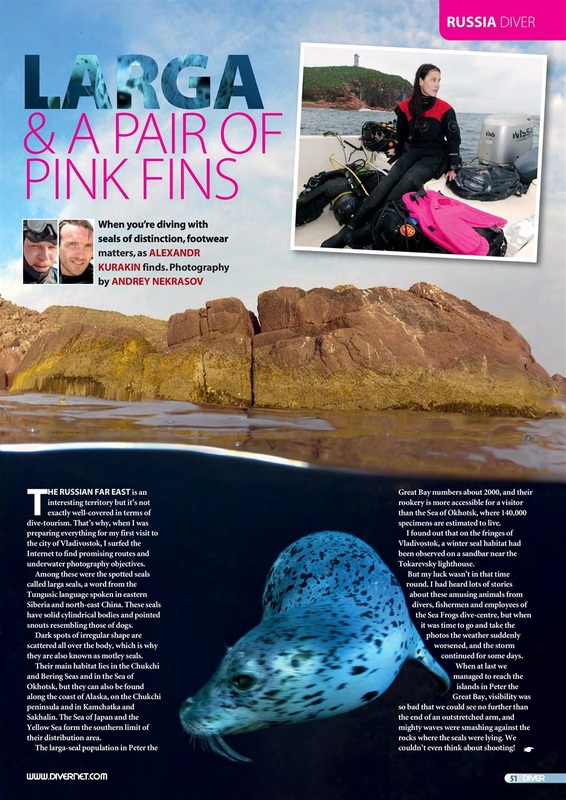 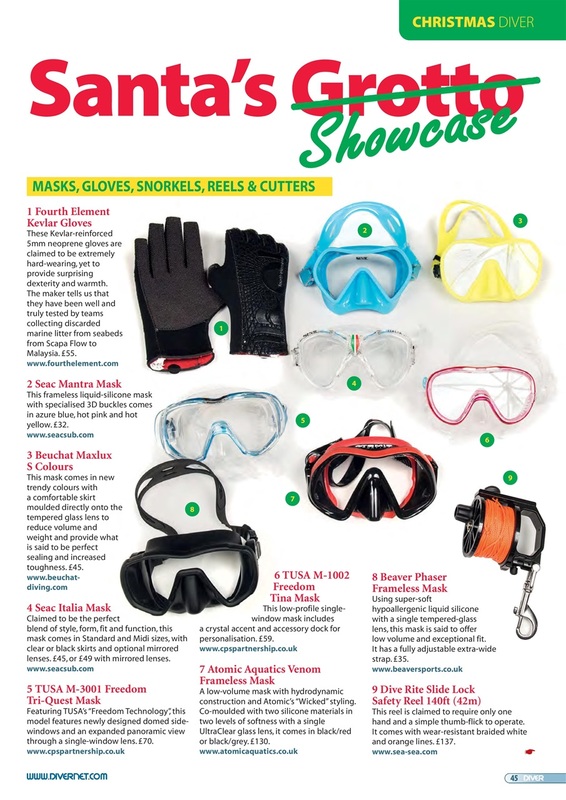 CHRISTMAS GIFTS – Dive-gear to consider from Santa’s Showcase. LARGA SEALS – Russian seals can’t resist eye-catching footwear. 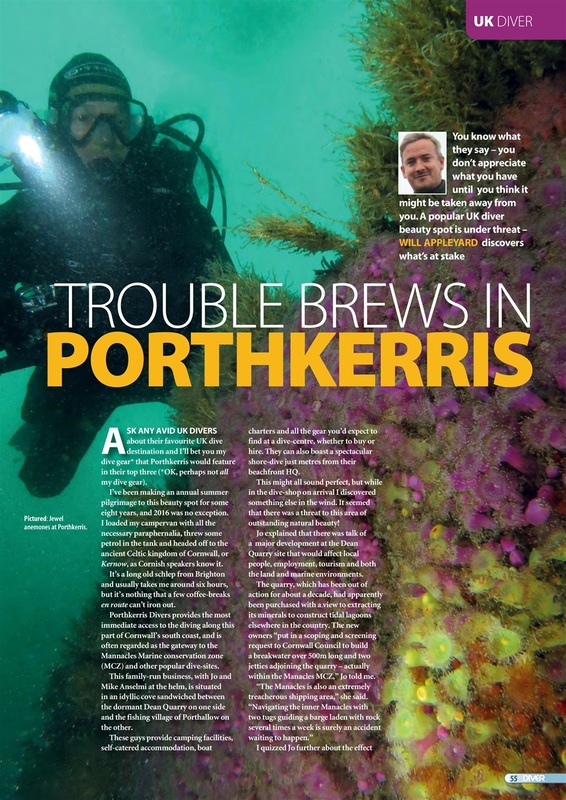 PORTHKERRIS – Trouble brews in this underwater haven. 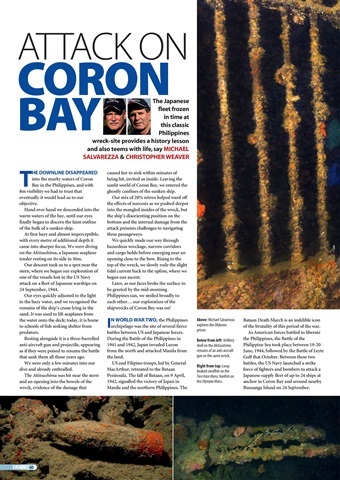 CORON BAY – Two divers visit the Philippines’ wrecks central. 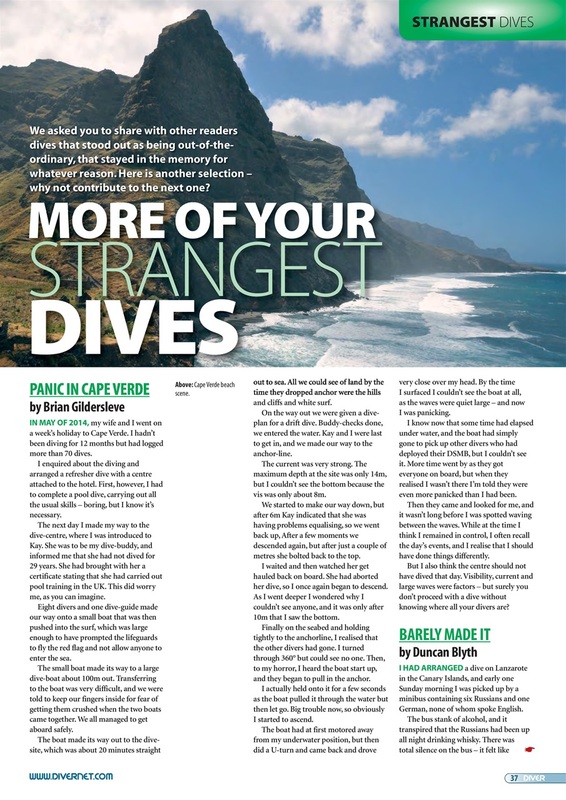 BEST BOOKS – More potential gifts: books that left their mark in 2016. 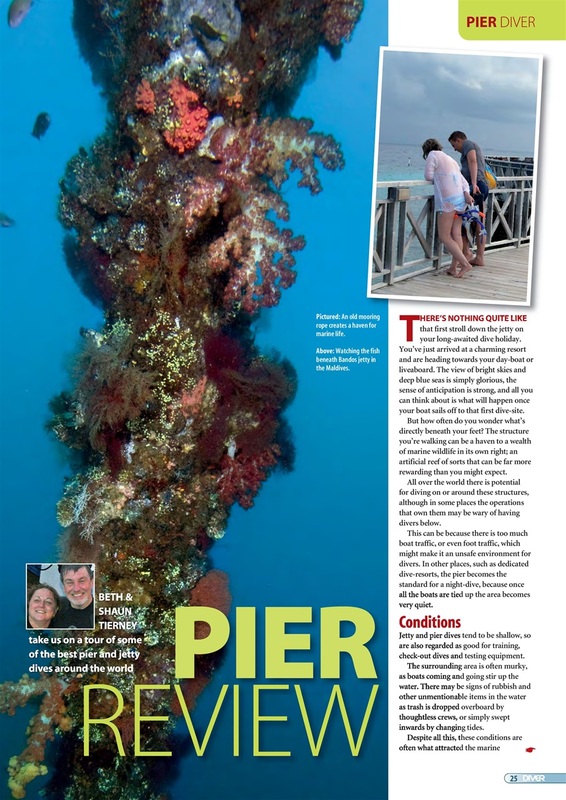 ROWLEY SHOALS – Talking of remote, Nigel Marsh visits Rowley Shoals.